Ultra violence is one of those pleasures in life that we can sadistically enjoy when it is in a movie, or being pumped out of a gaming machine, rather than through real life experiences. After viscously chainsawing through my tenth Locust infantryman of the day in Gears of War 2, a thought suddenly struck my mind at how such a chainsaw oriented thing probably wouldn’t be implemented into a military regime. Okay, it would be the most horrific experience imaginable in mid battle to saw someone in half from their shoulder, with blood spurting out everywhere, as you stand triumphantly over a twitching meat fountain. Also, I am not too familiar with the Geneva Convention, but mounting chainsaw bayonets for such acts of inefficient horror (not exactly a quick or subtle kill), might not be the act of a peacekeeping force. The Lancer in Gears of War 2, if you weren’t already aware has such a thing mounted on its underside, ready to chew through obstacles, crates and anything squishy enough to erupt like a claret volcano. It is also one of the most fun weapons that I have ever come across in a game, and often encourages those wielding it to brave the flying hot lead for the opportunity to rip limbs off in an act of suicidal lunacy. Such a weapon that encourages the user to break away from their cover for a start is not the best of all ideas. Neither is a close quarter combat tool that actually requires revving up, the best idea in a spur of the moment situation that such ‘in your face’ encounters are. Also, half of the hand to hand combat situations arise, I imagine, in an attempt to be at least a tiny bit subtle. The roar of a chainsaw and the grotesque splatter marks it will leave behind might get you noticed a tiny bit. Of course the main thing to consider when thinking of it practically, is that chainsaws are actually designed to be useful tools for men (or women, maybe) to cut trees down with. If you start using such things for the unintended use of making bad things go away forever, just think how long it will be before you need to start picking the bits out. The chain would jam far too easily, and so instead of being an intimidating giant, wielding a device of doom and horror, you will in fact just be a 100% screwed dim wit with a stopped, dripping paperweight of doom and horror. I can imagine that frozen marzipan would be implemented before chainsaws in any modern military power. It would definitely be easier to conceal. Of course, as much as an accurate military simulation that Gears of War 2 is, I am very sure that the developers were not necessarily thinking about how such a thing would work in the real world. Guns in games aren’t meant to work in the real world, and that is probably what makes them more fun to use than the ones that are modelled on actual firearms. If we were constrained by realism, then we wouldn’t have been given so many gaming gems over the years, such as the Land Shark Gun, BFG 9000 and bottomless pockets to carry six of each, plus ten first aid kits. Let’s just hope that innovative weaponry keeps turning up in virtual worlds, rather than the now overused MP5s, M4A1s and AK47s. Okay, I’m not necessary talking about giant, bi-pedal nuclear robots that spell our doom (but…) but rather the way that soldiers are trained using VR missions. For those who do not know, in the Metal Gear Solid series, some soldiers are trained through virtual reality missions, basically, war as a video game. The British Army has started an interesting project on their army jobs website titled, 'Start Thinking Soldier'. It is basically a flash game designed to test your common sense and decision making skills to give you an indication of whether or not you are cut out for army life. The two levels so far test things such as how you would proceed in investigating a potential bomb factory (my choice of an air strike was not received well), memorising instructions, how to deal with a suspicious vehicle and more, everyday military tasks. I doubt that it is intended as a serious training tool, but it is bound to rope in some arm chair army men who will play the game, get 95% of it right, and decide that they are the real Solid Snake. It is put together quite well, with the 'gamey' bits spliced in nicely with footage of military personel. Thinking morally for a second, is it right to sell army life as a videogame? The fact that this is on the army jobs website for a start is an indication that this is to help people decide if they are army material or not. Where's the bit that tells you to get off your comfy computer chair and run three miles, do 50 press ups and throw up on your hands before doing it again? Games and war are starting to get a tiny bit closer than just Call of Duty these days. 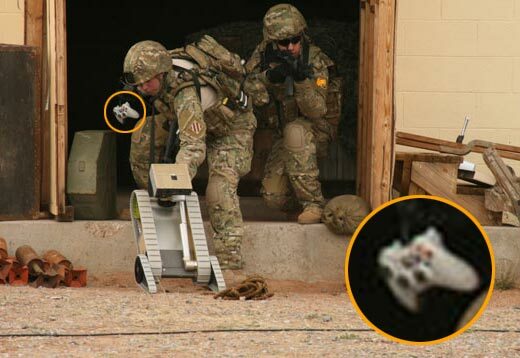 The US army has started using modified XBOX 360 controllers to control some of their unmanned drones. This could have been done for the convenience of not having to design their own universal controller, or maybe Microsoft offered them a good deal. Maybe even the drone control training software is run on a 360? It does make sense to have something as familiar as a game controller to help today's generation of soldier in the field, but does it also sell war as a game itself? It isn't quite that extreme, but it is a push in that direction. Some war games are now starting to strive for ultra realism and military precision. Just look at Operation Flashpoint: Dragon Rising, where you don't have a health bar, but instead can bleed to death from a wound that most other games would shrug off, as long as you duck behind cover, and only leave when your vision isn't grey or blurry. I think that games or virtual simulations could possibly be of use to the military in some aspects, such as tactical descision training, like mortar placement (also asked of you in Start Thinking Soldier). I just think that it might be a bit of a dodgy line to tread if you intergrate it too far. Nintendo at E3, too little too late? With the LA convention centre now being 97% less sweaty than it has been for the previous three days, it is a clear indication that the brand new, old E3 that gaming was treated to this year has come to an end. It was definitely a show that walked up to its 2008 sibling and showed it how things were done, and why gaming is good. I think everyone will also agree that Nintendo put up a good fight, completely stamping on what it did in last years show (although the bar was set very low). Was it enough to completely redeem them though? To be completely honest, I am not entirely sure that it was. For many people, their biggest proper announcement would have been Super Mario Galaxy 2, the fat plumber’s return to space and gravity confusion. Whilst it looked every bit as good as the first game, that is also where I see it falling at the first hurdle. Apart from the presence of Yoshi in the trailers, I can not actually see anything that is noticeably different in this outing. Okay, there might be a few extra environments and maybe the odd ability, but at the end of the day, it strikes me as being very similar to putting a hat on. Yes, it has added something, but at the end of the day, it is still a hat. There looks to be no changes to the gameplay that can define this as a different game. It looks a bit too samey for my liking, and shows that the series is not progressing, but bloating instead. I also feel that the Wii’s major ace in the hole is now being threatened in a very serious way, now that the other major gaming platforms are introducing motion control technology. It was a great innovation from Nintendo in 2006, but now the competition has caught up and possibly even beaten Nintendo at its own game. The 360’s Project Natal motion sensing camera, and the PS3’s motion capturing wands seem to do the job a lot better than the Wiimote ever did. Project Natal allows game control with your full body, a bit like a super Eye Toy, where as Sony’s Wiimote wannabes offer the true 1:1 movement ratio that we all hoped the Wii would utilise upon its launch. Maybe the Wii Motion Plus will help give Nintendo the boost it needs, but at the moment, it looks to be in danger of losing at its own game. So what advantage does the Wii have over the other consoles as far as the core gamer is concerned? Motion controls are out of the picture now, so the Wii must rely on its other tricks, such as low cost (including the built in wifi that the 360 lacks) and potential library. Mario and Zelda are both very strong licenses, guaranteed to shift units, but you have to be careful not to play around with your key fan base too much. A glint on the horizon, for me anyway, is the promise of a new Wii exclusive Zelda game that is in the works. So far, the one clue we have is a single picture, showing a matured link with no sword and a Zora. It is futile to try and figure out anything about the game at this early stage, but Miyamoto (creator of Mario and Zelda) tells us that it will be something a bit different to before. As much as I like change in games, I hope that it will still cling on to bits of the formula that have made the series so successful. Bosses in games tend to be the big, burly characters that like to hang back and have the arrogance to think that they can take you out in a one on one fight in a deserted room, away from the main conflict. It is very surprising to think that given your ability to slaughter hundreds of un-named soldiers, and then this boss’ equally powerful boss friends, that he would think that he would actually pose that much of a threat. Surely it would make more sense for him to wait around a corner and smack you around the back of the head with a plank of wood, before feeding your unconscious self in to a wood chipper. That’s how I would take care of Mario anyway. Some boss characters however do play it very cool, and do make me very thankful that they have secured an arena to fight them in, purely because it is so fun to do so. Let’s face it, boss battles tend to be the very memorable set pieces from gaming. Whether it is fighting bipedal nuclear robots underground or throwing spiny dinosaurs into conveniently place bombs, they linger in your mind like nicotine on a curtain. The Legend of Zelda: Majora’s Mask may not necessarily have been quite as good as Ocarina of Time, but the boss fight in the second dungeon is the most memorable thing about it for me. The ‘Masked Mechanical Monster’, Goht, or an evil robot bull to you and me is the guardian to the second temple in the game. What’s more is that he starts off set in ice that you very helpfully thaw him from. 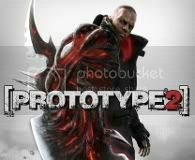 In payment he decides to set off on a violent rampage around the circular arena. Now the fun bit, you get to turn in to a Goron (huggable rock monster), curl up into a ball and roll around after him, trying to shunt his hind legs off. This was such good fun as it was a real refreshing change from *shoot arrow in weak spot, approach and slash* that most of the game’s larger enemies need to have done to them be taken down. Also, the rolling mechanic was fun to play with as well, and this was the perfect place to use it as an offensive capability, where you can reach F Zero like speeds. Another boss that springs to mind is more of a general type of boss than the actual character itself as it does rely on a game mechanic more than anything else. The Scarab tanks from Halo are great fun to take down as generally you are required to buckle its legs allowing you to board it and take it down from the inside. This is really good fun, especially if you are still on board trying to take it down when it has recovered and is going back to murderising your fellow man. This idea of mounting big things and travelling to their weak points was fully opened up in Shadow of the Colossus, a game which I sadly never played. The aim of the game here was to take down the 16 giant Colossi, massive hulking beasts that very often you would need to climb upon as they moved and slowly inch your way towards their weak areas whilst holding on for dear life, battling their every movement. Such boss fights are great fun as it is not a case of shooting back at the big guy shooting you, but getting close enough, utilising cover, running and climbing abilities. The reward seems a lot better as well when crumpled at your feet is not a person two foot taller than you, but something that would have made king kong cower in fear, and wish that he was still in his mother monkey’s womb. The final boss I will vaguely mention is encountered many times throughout a play session and can be a really bother during the zombie apocalypse. The Tank from Left 4 Dead is a real pain, especially on expert mode where the damn thing refuses to die. The best way to take one down is to set it on fire and then run, but this is not always a practical solution. His main weapon seems to be the panic he can spread amongst a group, charging at each member individually, effectively splitting them up for the smaller hordes to deal with. That, and his massive tree like fists, that doctors recommend you keep away from your eyes and children. There are many great bosses out there, but I seem to think these days they are getting a tiny bit thinly spread across games. With all of the Modern Warfare style battlegrounds, and everything striving for ultra realism, suddenly placing a giant man tank with robotic crab claws and rail guns in the mix might be a tiny bit off putting. Never the less, boss battles can serve as fantastic crescendos and climactic moments, whether it is a tense sniper battle in the jungle with an OAP, or battling a big operatic poo.